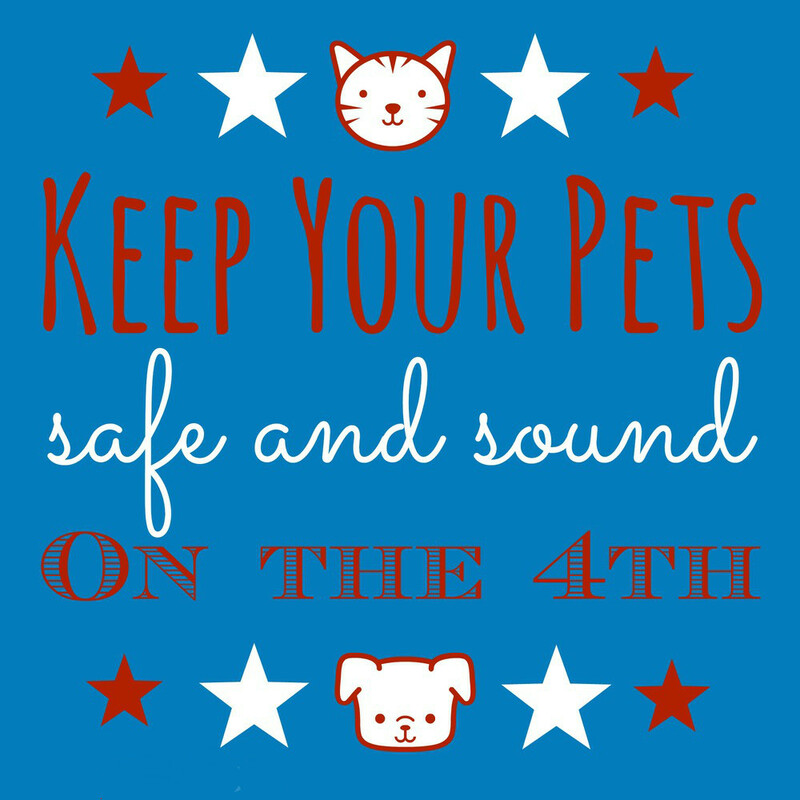 The fourth of July can be a time of celebration for many people, but it can also be a time of great fear for our pets. Here are some tips to make this Fourth as stress-free as possible for your pets. Tip #1: Know what your pet's fear looks like. Fear of fireworks doesn't have to look dramatic. Many very fearful pets will quietly hide or shiver. Others will be more obvious, pacing, panting, vocalizing, or even becoming destructive or pottying in the house. The amount of obvious fear signs don't always correlate with actual fear. A hiding dog may be just as afraid as a panting and pacing dog. They just express that fear differently. Tip #2: Create a Safe Space. Create a safe area for your pet to be during the fireworks. This can be wherever your pet is most comfortable. Two chairs with a blanket draped over them, a crate, a closet, the basement, or an interior room like a bathroom are some possibilities. Set up the area before fireworks start and do lots of positive things in the area. Feed your pet there, give interactive toys and just generally make it a nice place to be. Make sure that your pet has access to that safe area when the fireworks start. Think about ways to decrease the sound level of fireworks within the home. Shutting all of the windows tight and running a white noise machine or loud fan can help muffle noises from outside. Mutt Muffs (www.safeandsoundpets.com) and Happy Hoodies (www.happyhoodie.com) are some options that can help reduce that sound level that your pet hears. Tip #3: Practice Proactive Safety. In the days leading up to July 4th people are often shooting off fireworks. To keep your pets safe, don't allow your dog off-leash, and make sure that their collar or harness is snug so that they can't slip out of it. Potty your dog on leash before it gets dark on these nights, and again if needed after the fireworks are over. Dogs have even escaped fenced yards in their fear. Don't take your dog out during the fireworks themselves. Keep your cat indoors as well. . In fact, the 5th of July is often one of the busiest days for animal shelters as so many dogs become scared and run away from home during the fireworks. Consider alternate ways to enrich your pet's environment since they may not be spending as much time outdoors. Some options include food puzzle toys, reward-based trick training or dog daycare if your dog is suitable. Keep in mind that there will probably be occasional fireworks after July 4th, so be prepared for that as well. Tip #4: Avoiding is OK! Many pet owners leave Portland altogether and spend the July 4th weekend in more remote locations around the state. Other tips that clients have shared with us include: staying at a well sound-insulated hotel (such as near the airport) spending the evening in an underground parking garage, or taking a drive to and from Eugene with their pet to avoid the sounds of the fireworks. Our Fourth of July Hideaway is an option as well! Tip #5: Medications can bring relief. If your pet is very scared during fireworks, speak to your veterinarian (or for Dr. Valli's clients, speak to her!) now about whether situational anti-anxiety medications are an option to help ease this time for your pet. Are you and your dog staying in town for the July 4th holiday? If your dog does not like fireworks, consider Synergy Behavior Solutions' Fourth of July Hideaway. Bring your dog and hang out for the evening in our quiet space and watch movies to boot!The last two years were a great time and they look forward to it again. Posted in Animal Welfare, Pet Biz and tagged with Holiday, Safety, 4th of July. June 27, 2018 by Spot Magazine. Spin the compass, and Get OUT! It’s no secret, the Pacific Northwest is a mecca of amazing pet-friendly places. Wherever your whims take you this summer, these wonderful, Fido-friendly hot spots are fantastic options that promise great adventure and wonderful memories. The Bennington family puts the love in vacationing with your dog. With classy dog-friendly homes and lots of fun activities, you’re sure to make memories that last a lifetime. Visit Sun River and enjoy Yappy Hour snacks and beverages while your pups romp and tussle with their “vacation friends.” Check out the Pet Parade during the Day celebrations. There’s also the American Cancer Society Bark for Life. Like biking? There bike trailer rentals for the dog! Visiting Cooper Spur Mountain Resort is a cozy getaway. The pet-friendly resort has all the amenities, plus barbeque grills, picnic areas, and an on-site restaurant. All of this surrounded by the majesty of Mt. Hood National Forest. If long quiet walks away from city crowds are to your liking, this will feel like a slice of dog-loving heaven. Both the Pier St. and Guardenia St. houses live up to the idyllic name, with accommodations for pooches and nine to ten people, all just a blink from the beach in a quiet neighborhood. Enjoy walks on the beach, watching seals and winged wildlife, while your dogs romp happily alongside. Fireplaces. Balconies. Haystack Rock. This resort has a lot to offer pet lovers, and half the rooms are pet friendly. Surfsand throws in dog-savvy extras like pet beds, towels and sheets, dishes, doggie bags, and placemats, and tasty treats whenever your pup pops into the lobby. In the fall, the resort hosts a dog show to raise money for the Clatsop County Animal Shelter. What? A tree house you can take your dog to? That’s exactly what you’ll find at Tranquil-A-Tree — a dog-friendly two-story log cabin suspended in the firs. Enjoy the pleasures of taking in the nature and beauty around you, hiking and birdwatching, relaxing in the hot tub, and more. Who hasn’t seen the vintage camp trailers that look like rolling toasters and thought how cool it would be to stay in one? Sou’wester Historic Lodge and Vintage Travel Trailer Resort invites you to check that one off your bucket list — with dog in tow. Keep the vintage vibe going by borrowing the resort’s bicycles or vinyl records, or indulge in a little pampering with massage and bodywork. Attractions include miles of beach, hiking, museums, lighthouses, and funky thrift stores. The uber dog-friendly (dare we say dog-crazy) Hotel Monaco in the heart of downtown actually employs a Director of Pet Relations to guarantee Fido gives them two paws up. Perks include no pet fees, no weight or size restrictions, and no limit to how many furry friends can join you. And how about a nightly dog-friendly wine reception? This is a staycation you’ll surely dig. What good is it to live in the City of Roses without enjoying its signature flower? Set high in the hills above the city in Washington Park above the Oregon Zoo, visits to the garden are free and boast scenic views, rose variety, scents and colors beyond the imagination. Perfect for a picnic, and all of it dog friendly. Lucky Lab is a Portland fixture with its four locations and incredible dog-centric vibe. What more would you expect with a dog breed in the name? How about philanthropy? Yep, the Lucky Lab is into that too, presenting an annual dog wash to benefit DoveLewis Emergency Animal Hospital. When looking to enjoy a brew and bite, make it your summer goal to take the pup and visit dog-loving pubs on Hawthorne, Quimby, Capital Hwy and Killingsworth. This NW favorite has locations from Seattle to Eugene and in between, and the grounds and restaurant patios of many are dog friendly. Just west of Portland, the Grand Lodge in Forest Grove boasts lush, scenic grounds, and seasonal outdoor eating. Just east of the city is pet-friendly Edgefield, with exquisite sprawling grounds. Each location offers craft beers and unique art that tells the stories of the area. Imagine 80 acres of lush botanical gardens, something for everyone, and all pet friendly. A short drive to Silverton takes you to this gardener’s paradise. Enjoy photography, geocaching, and learn about sustainable farming while strolling the fabulous grounds. If you’re looking to clock some miles under your hiking boots this summer, there are plenty of dog-friendly destinations close at hand. Oaks Bottom Wildlife Refuge (Sellwood) has miles of paved and unpaved hiking trails with views of the native forest, wetlands, and the Willamette River. Tryon Creek State Natural Area (Terwilliger Blvd) boasts bridges, a wetland boardwalk, shelters, exhibits, wildlife, and miles of multi-surface trails. Forest Park is a gem in the city, with more than 5,000 acres of vistas, views, and hiking galore. Most Oregon parks are pet friendly. Check website for information on day facilities, campgrounds, trailheads, and more. If you have time to book well in advance, consider a dog-friendly yurt or cabin at one of 22 campgrounds. Many activities are available at various locations, including hiking, wildflower viewing, beach walks, educational talks, biking, and swimming. A Portland native, Kennedy Morgan has been around dogs her entire life – from the multitude of strays near the country home of her youth to the crew she calls her own now. Vegas, her retired agility superstar (Great Dane!) has been her primary inspiration for all things dog in the last decade, including her passion for writing. Posted in Feature, Life with Pets, Pet Biz, Travel/Recreation and tagged with Travel, Recreation, Summer, Hiking, Hotels, Coast, Central Oregon, Staycations. Life for an incarcerated teenager is the picture of uncertainty: will he get caught in a cycle of repeat incarcerations, or will he somehow gain the skills and emotional maturity to live successfully on the outside? A shelter dog’s life is uncertain too, even with the high adoption rates in our region. For a quarter-century, one local nonprofit has brought these two populations together with groundbreaking results for both. Oregon-grown and nationally-recognized Project POOCH is celebrating 25 years of rehabilitating incarcerated youth while transforming “unadoptable” dogs into desirable companions. “The human-animal bond is what we promote,” says Joan Dalton, founder of the Woodburn, OR-based nonprofit that matches youth at MacLaren Correctional Facility with dogs from local shelters. The facility houses and educates males under 25 who are convicted of crimes ranging from misdemeanors to the most serious felonies. Dalton founded POOCH in 1993 while serving as vice-principal of Lord High School at MacLaren. At the time, there was a handful of programs that used the human-animal bond to rehabilitate adult prisoners, but, Dalton says, “Nobody had tried it with juveniles.” She risked nearly everything to pursue her vision, including her home, which she sold to launch the program — starting with just one youth and one dog. Individual youth are paired with a rescued dog and a professional dog trainer and behaviorist. For the youth, Dalton explains, one-on-one work with the dog often addresses the animal’s possible background of neglect, resulting in a strong therapeutic bond that, to date, has changed the lives of hundreds of dogs and young men. Dalton proudly points to the program’s zero recidivism rate. Impressive all by itself, the numbers are even more astounding considering that the national average is 25 to 40 percent. To be eligible, youth offenders must meet rigorous requirements, including an interview, an exemplary institutional history, and no record of animal abuse. The program’s comprehensive syllabus teaches patience, compassion, and commitment, along with bookkeeping, computer skills, grooming and boarding operations. The project’s fundraising ventures raise money to support POOCH and other corrections programs serving dogs and at-risk youth, while also helping youth pay restitution and child support. POOCH will celebrate its silver anniversary with a “Year of the Dog” fundraiser and benefit July 14 at Montgomery Park in Portland. Dalton says the festivities will include an appearance by the first young man to graduate from the now legendary program. Like the peers who would follow him, he has remained a free and productive member of society. William Kennedy is a freelance writer who lives with his wife and daughter in downtown Eugene, Oregon. He's had many furry friends in his lifetime. Currently, he's tolerated by a black cat named Midnight. Posted in Animal Welfare, Feature, Life with Pets, Pet Biz and tagged with Project POOCH, Youth, Dogs. Johnson — Dr. Val to her friends and clients — fulfilled that dream in February when she opened Buckman Veterinary Clinic in SE Portland. Since then, she’s seen exactly the results she’d hoped for. 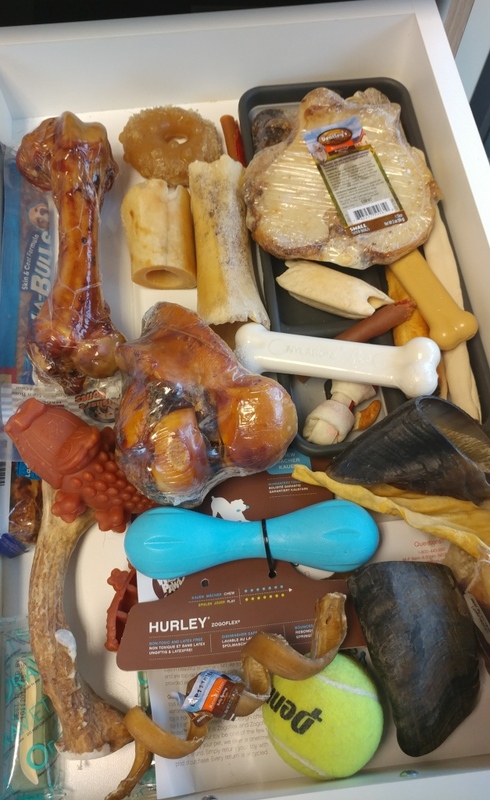 “A number of the dogs and cats who had earned a reputation for being ‘spicy customers’ have been much easier to work with in our new space where they are not as stressed out,” she says. Johnson also had another goal when she opened her clinic. “I am hoping that the flexibility of having my own practice will allow me to expand the work I do with local animal animal rescues," she says. Johnson has worked closely with My Way Home Dog Rescue, a Sandy, OR nonprofit that places dogs from overcrowded shelters into forever families. Cheryl Yoshioka, who runs My Way Home, helped Johnson get Buckman Clinic up and running. Now, the rescue’s dogs visit the new clinic for help with issues ranging from broken bones to autoimmune diseases and liver and kidney problems. “So many times in my career,” Johnson says, “I have seen people handling pets in ways that are unnecessarily stressful to them. I am working to develop a culture where pets and their people are treated right as individuals with unique needs." Posted in Feature, Health/Wellness, Pet Biz and tagged with Veterinary, Veterinarian. 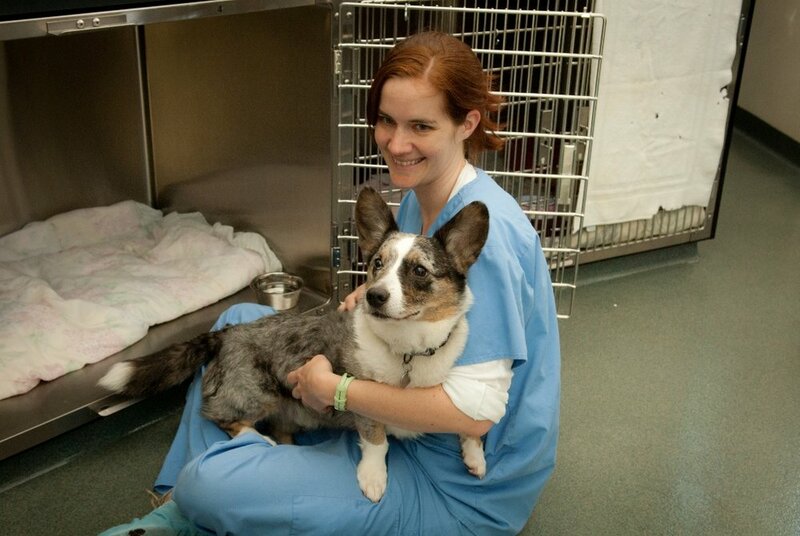 The Portland pet community lost a treasured member recently with the passing of Corina Owens. 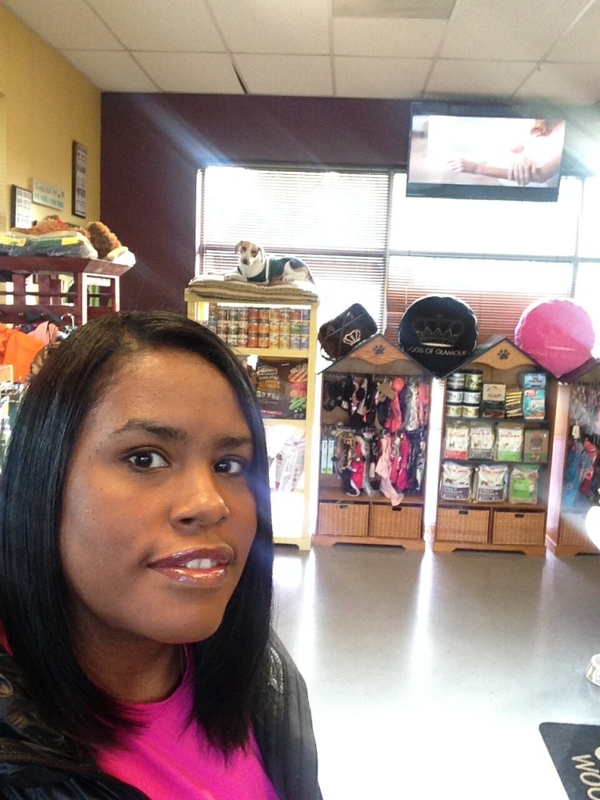 Known for her loving heart for pets and people, her keen business sense, and joyful spirit, Corina owned and operated Show Dogs Grooming Salon and Boutique in North Portland. In addition to being a successful businesswoman, Corina was a beloved daughter, sister, aunt, and friend. 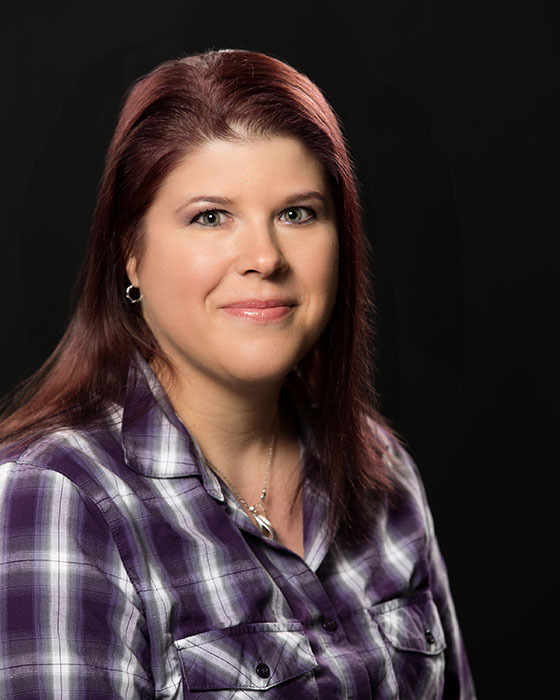 She was an accomplished pianist, playing gospel at her church, at weddings, and for her own pleasure, everything from the Star Wars theme to her favorite love songs. A lifelong dog lover, at age 9 Corina played with her Aunt Teresa’s dog Poppy every day after school. Eventually Teresa gave Poppy to Corina. After Poppy, her family always had dogs, and it fostered a life-long love of canines and eventually inspired Corina's career. 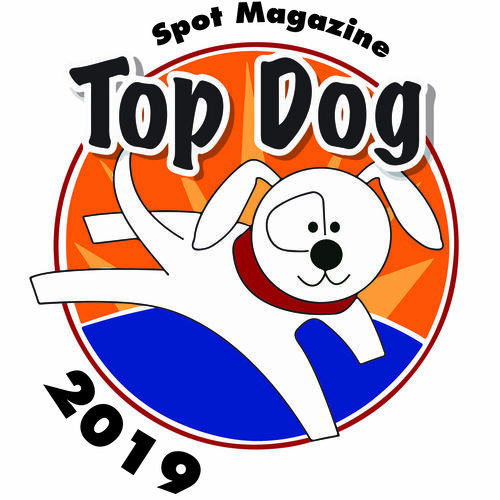 Starring in a past episode of Spot Magazine’s People in the Neighborhood series, Corina talked about her inspiration for Show Dogs. "I wanted to open a business," she said. "I was going over some ideas of what I could do every day and not get tired of it and it came to me — dogs!" Corina is survived by her mother, grandmother, siblings, and nieces and nephews. She is also survived by her dogs Redd, Pepper, Brownie, Joc, Bailey, Poochie, and Lilly and a host of friends. Corina's beautiful smile, giving spirit, and unselfish heart will truly be missed and never forgotten. Posted in Feature, Pet Biz and tagged with Memorial. It was May 1, 1998, when a few hearty souls opened Cat Adoption Team in Sherwood, OR. The fledgling nonprofit had 35 adoptable cats and a vision to save lives. The vision became reality: this summer, on its 20th anniversary, CAT celebrates 44,000 cats’ lives saved, and a community far different from the one that existed in 1998. For years, Portland-area communities were overburdened with lost, stray, and feral cats. Shelter euthanasia rates were high. 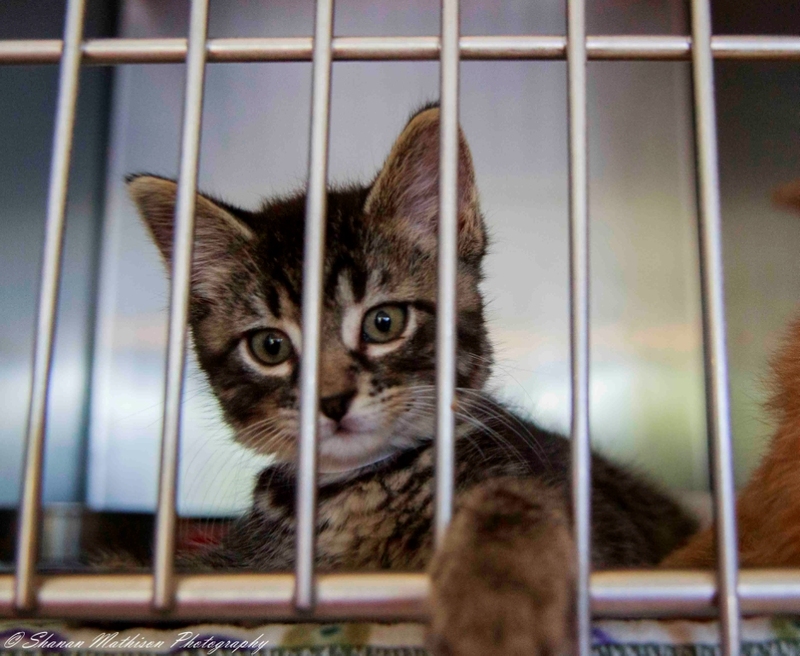 Today, Portland is a beacon for the nation, with high adoption and sterilization rates, thanks in large part to the Animal Shelter Alliance of Portland. Since CAT and other member organizations formed ASAP in 2006, the community’s shelter euthanasia rates have dropped 90%. 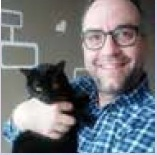 Posted in Animal Welfare, Fetch, Pet Biz and tagged with CAT Adoption Team. Coming soon to a City Hall near you: advocates in Portland and the Willamette Valley hope to pass local ordinances barring pet stores from selling pets from so-called puppy mills. Stores would offer adoptable dogs and cats from shelters and rescues rather than sell animals bred in facilities known for unhealthy and inhumane conditions. Advocates are gathering support to introduce a bill in the next legislative session. Learn more at PuppiesArentProducts.org. Posted in Fetch, Animal Welfare, Pet Biz and tagged with Puppy Mills, Animal Welfare, Animal Law. [April 26, 2018 – Sherwood, Ore.] — This May, the Cat Adoption Team (CAT) will celebrate its 20th year of saving the lives of homeless cats and kittens. With 35 cats for adoption and a dream to save more lives, CAT opened its doors in Sherwood, Ore., on May 1, 1998. Today, CAT is the largest feline-only nonprofit animal shelter in the Pacific Northwest and has found homes for more than 44,000 cats and kittens. When CAT first came on the scene in the late 1990s, Portland and its surrounding communities were overrun with lost, stray, and abandoned cats. Euthanasia rates were high. Adoption numbers were low. Homeless cats had limited options. Working collaboratively with other animal shelters, rescue groups, and veterinarians—and with the support the local community—CAT has helped transform the Portland metro area into one of the safest communities in the nation for homeless cats. By the end of its first year, CAT had found homes for 219 cats. The adoption numbers and shelter population more than doubled in 1999. 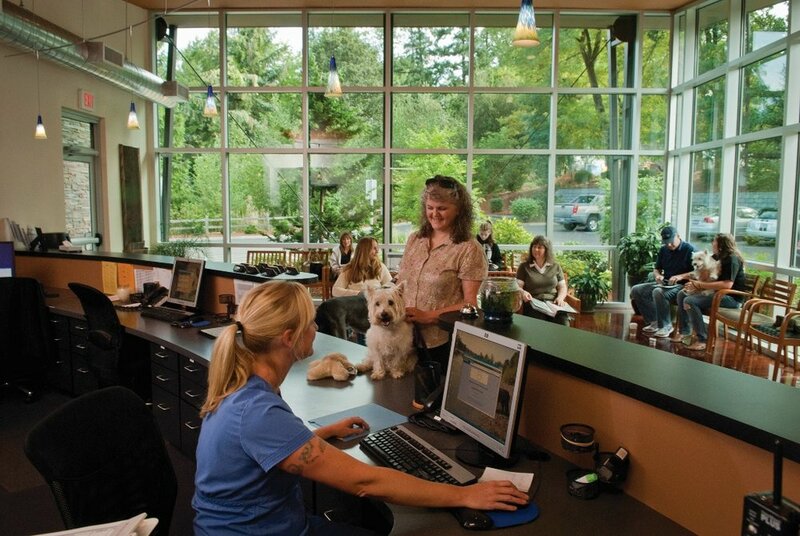 In 2002, CAT became the first animal shelter in the Pacific Northwest to open an onsite veterinary hospital. And the organization has continued to advance each year. Though the shelter location hasn’t changed, the facility has undergone countless improvements. CAT upgraded from particle board and Plexiglas to stainless steel cat kennels in the mid-2000s. Later, in 2014, additional housing improvement gave twice as much space to each cat. The organization continues to make changes in response to advances in veterinary medicine and animal sheltering. Over the past 20 years, cats’ lives have been saved and human lives have been enriched by the 44,319 adoptions from CAT. Helping cats in need remains at the core of all that CAT does. This year, the organization plans to increase its support for senior cats, under-socialized kittens, and cats with other health or behavior concerns. What’s more, CAT hopes to help another 3,300 cats and kittens find loving new homes by the end of 2018. CAT invites you to celebrate the memories by viewing our 20th Anniversary Photo Album online at catadoptionteam.org/20years. The Cat Adoption Team (CAT) is the Pacific Northwest’s largest nonprofit, feline-only shelter committed to finding a home for every cat it takes in. CAT’s mission is to save the lives of homeless cats and to work with our community to provide feline expertise and quality programs and services for people and cats. CAT has found homes for more than 44,000 cats and kittens since opening in May 1998. As a 501(c)(3) publicly supported charity, CAT relies on the generous support of individuals and organizations. For more information, visit catadoptionteam.org. Posted in Events, Pet Biz, Animal Welfare and tagged with CAT Adoption Team. April 26, 2018 by Spot Magazine. Anyone with pets knows the Murphy’s Law of super-scary sudden illnesses and panic-inducing injuries: they happen on weekends and holidays, when our primary veterinary clinics are closed. When that happens, we all want to find a good doctor, fast. We want to know what’s happening, how serious it is, and how to fix it. Now, no matter where you are in the greater Portland area, getting that kind of smart, fast care just got easier. In an emergency when every frantic minute counts, the trained ER and critical care staff at Cascade Veterinary Referral Center is always ready to help. The Portland area has several emergency veterinary hospitals, some with quick care equivalent to human urgent care clinics, and others with the specialized care and equipment of human ERs. At CVRC, you’ll find skilled ER docs with veterinary technicians and support staff all assigned to their areas of specialty, such as internal medicine and orthopedics. And they have access to diagnostics ranging from digital x-rays and ultrasound to CT scans. “It’s pretty exciting,” says CVRC Hospital Manager Traci Delos. “There are other choices, but hands down I think we have the best location: minutes off the I-5 freeway, no side streets, and easily accessible from 205 south and 217. From wherever you are in Portland it’s easy to get to us. That’s important when minutes count. The hospital’s move to emergency service is largely in response to the primary care vets who send patients to CVRC for specialized care. 'Our referring doctors definitely asked for this service,” Delos says. Full staffing means round-the-clock seamless care for the most vulnerable patients. While such expertise promises better outcomes for sick and injured animals, it’s also a balm for jangled, frightened humans. “Our clinic is designed around the client,” says Delos. “Sometimes they don’t know why they’re here or what will happen.” Staff members try to help with little touches like knowing the pet’s name before they arrive, and never interrupting a conversation to answer the phone: calls are answered in a side office to allow front-office staff to focus on the humans and animals present. 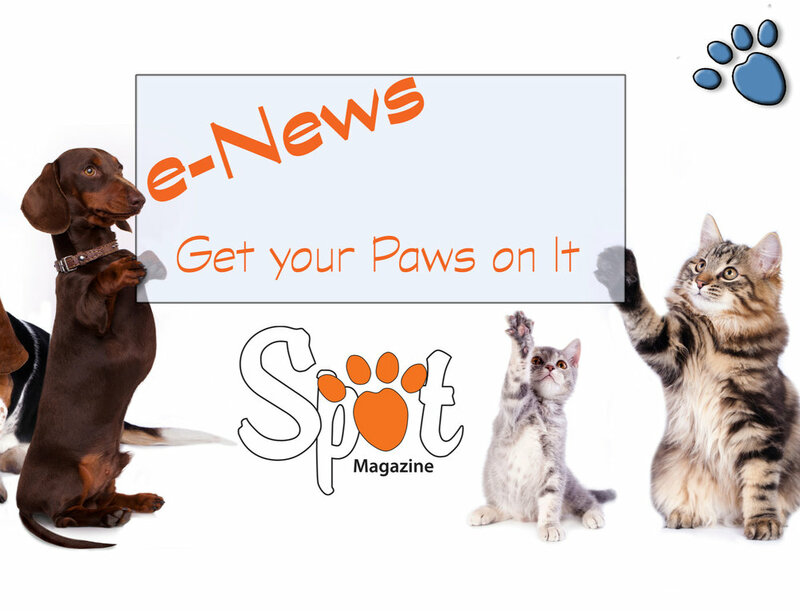 Posted in Health/Wellness, Pet Biz, Feature and tagged with Issue Sponsor. February 1, 2018 by Spot Magazine. Happy Mouth = Happy Pets! As a Certified Vet Tech, I know better than to wait a full year before getting a dental cleaning. While working at a clinic I was on the frontline of identifying early stage dental disease. So why did I wait so long? I was lazy. When I finally went for my cleaning I had eight cavities. I almost screamed when the dentist shared this news. Regular cleanings are just as important for your animals. 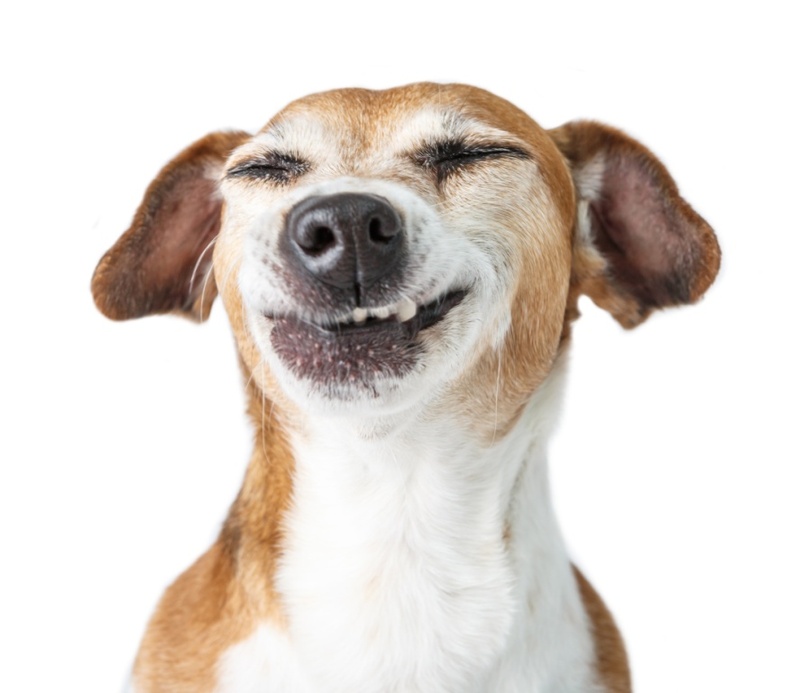 While you may not be talking about cavities during your pet’s annual wellness exam, you will be discussing periodontal disease, the risk of fractured teeth, and what to expect from your animal’s dental cleaning. Being proactive with oral health should be a priority for all pet parents. The most common disease in pets is periodontal disease, which can lead to infections that introduce bacteria into other parts of the body. Simply put, bad teeth can lead to a very sick animal. Research shows that inflammation in any part of the body can have a serious negative impact on your pet’s internal organs. While oral exams are conducted during all routine visits, we as pet parents are their first line of defense. Signs of problems may include pawing at the mouth, dropping food, aggression when touched on or around the face, and/or disinterest in the food bowl. Any of these symptoms warrant a visit to the Vet. It’s important to remember that animals are stoic, so it’s up to us to recognize even small indicators that may signal dental disease. It begins with a comprehensive oral examination to evaluate structures of the face, head and neck. Then intraoral structures are examined, including teeth and soft tissues. Scaling and polishing are the most common dental cleaning procedures. Dental radiology (x-ray) is also extremely important, as disease can easily be missed without examining beneath the gum margin. The gum margin is the border of the gingiva surrounding, but unattached to, the substance of the teeth. Speaking with the experts at the Animal Dental Clinic NW (ADCNW), a dental specialty clinic in Lake Oswego, reinforced what I was taught about oral health in Vet Tech School. It also made me appreciate how very lucky we are to have outstanding expertise throughout this community. “You care most about what’s happening under the gum-line where hidden infection and pain resides,” explains Dr. Jean Batigg, DVM, DAVDC of ADCNW. “But without x-rays you cannot see what’s most important.” Pets must be sedated to obtain quality radiographs. 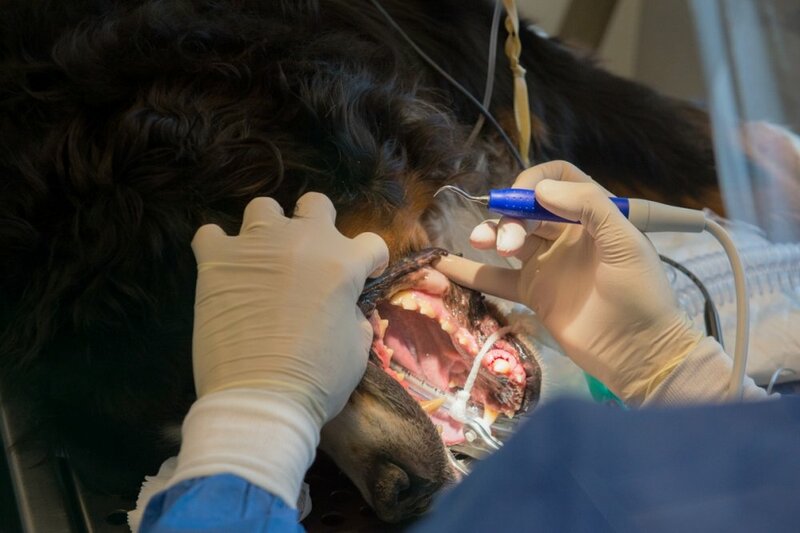 Board Certified Veterinary Dentists offer specialty services in complex cases involving dental disease or injury. In many cases, Veterinarians in general practices refer cases to specialists when, for example, the dog or cat is at a higher anesthesia risk. Some general practitioners have Vet Techs with dentistry certification on staff as well. 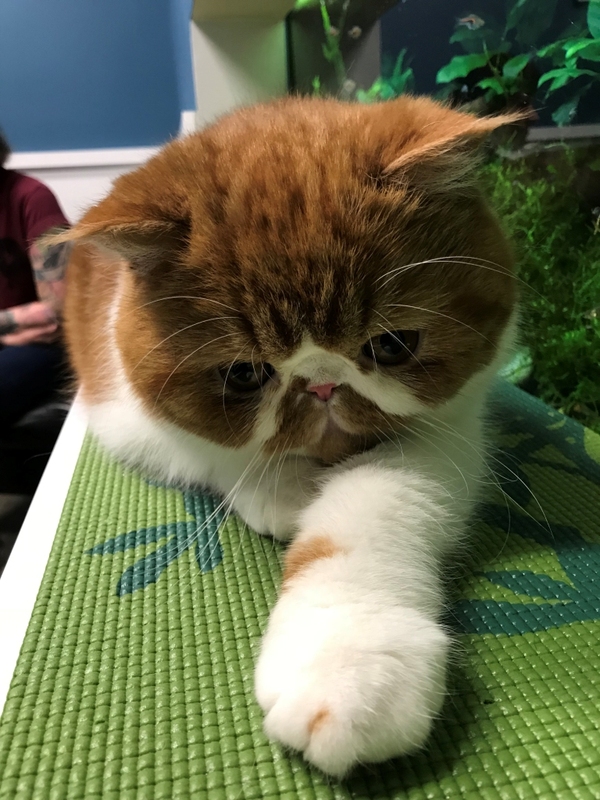 At many general practice clinics throughout Portland, two board certified Veterinary Anesthesiologists, Dr. Heidi Shafford and Dr. Lynnelle Graham, monitor patients with medical risks including diabetes and anxiety. Age is also a consideration, and both doctors are experts in providing anesthesia care for older pets. They both partner with clinics and offer their services so at risk patients can be safely operated on — and this goes beyond dental surgery. Periodontal disease is difficult to control once it has developed. The good news is, it is preventable with a combination of home dental care and annual veterinary care. Daily brushing is necessary to minimize calculus formation. Reduction of bacteria in the mouth can be accomplished through not only brushing, but diet, chews, and toys designed to support oral health. Water additives with the Veterinary Oral Health Council seal of acceptance also support a pet’s preventive oral healthcare routine. Start early! Before introducing a toothbrush, massage your puppy’s or kitten’s gums to accustom them to having their mouth manipulated. “You must train your puppy to open its mouth so you can safely check his teeth,” says Batigg. Some breeds are more susceptible to dental problems than others. The smaller the breed, the greater chance of periodontal disease. Because the teeth are closer together, plaque and tartar builds up in the space in between. Additionally, smaller breeds tend to live longer, giving periodontal disease more time to progress. Unfortunately, I know from experience that excessively hard chew toys like antlers are a common cause of broken teeth in dogs. This is extremely painful, and can sometimes become abscessed. I recently learned this with my dog, Walter, as he had a pre-molar extracted as a result of chewing aggressively on an antler. · Flexibility is a must! Your pet will thank you for a healthy mouth! For dogs and cats to stop eating they must be in terrible pain. Schedule an annual exam now, and if you suspect discomfort or any of the symptoms mentioned above, get your pet seen right away. And start brushing their teeth! who constantly teach her about life and companionship. Follow Christy at mylifewithdogspdx.com. Posted in Feature, Health/Wellness, Life with Pets, Pet Biz and tagged with Dental Care, Health, Medical.